Can You Use Testosterone Therapy for Weight Loss? The subject of testosterone therapy for weight loss has been discussed for many years, with medical science weighing in on both sides of the debate. On one side, numerous studies have shown that obese men who received testosterone injections lost weight, and gained an equal amount of lean body mass. On the other hand, some doctors have questioned whether the weight loss and increased muscle mass were due to increased physical activity rather than the testosterone. In either case, it is the testosterone that increases energy, improves muscle and bone structure, reduces joint pains and stiffness – all things that make it easier to exercise for weight loss and muscle growth. Question: If it is true, how does testosterone replacement cause weight loss? Answer: Increasing testosterone levels reduces the activity of triglycerides and lipoprotein lipase, improving insulin sensitivity, and fat mass reduction. Testosterone therapy helps regulate carbohydrate, fat, and protein metabolism which also increases energy levels. Question: Does testosterone therapy cause weight loss without changes to diet or exercise? Answer: While increasing testosterone levels back to a normal state will make a difference, sitting on the couch all day eating pizza and chips and never getting any exercise (even walking) will not facilitate a significant weight loss. Testosterone therapy works best when you incorporate other healthy lifestyle decisions as part of your daily routine. 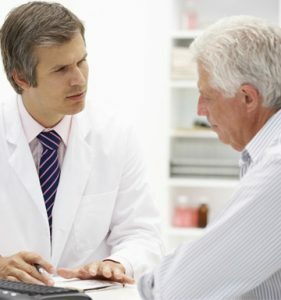 Question: Can testosterone therapy cause weight loss in older adults? Answer: Much of the promising research done to this day on weight loss and testosterone has been on older hypogonadal men. Testosterone and Weight Loss: Can Androgens Help You Lose Weight and Burn Fat? Testosterone is an androgen hormone, and as such, has a significant impact on various bodily functions, including metabolism, glucose utilization, and energy production. Question: Does testosterone replacement therapy help with weight loss for women? Answer: Females entering menopause lose a significant amount of testosterone when the ovaries cease natural hormone production. Testosterone therapy makes up for this loss, allowing for the burning of stored fat for increased energy. Question: Will testosterone therapy cause weight loss by increasing exercise capacity? Answer: A significant fact about low testosterone is that it often contributes to premature cardiac aging that can lower a person’s capacity for exercise. An increase in heart failure, cardiovascular disease, cholesterol, triglycerides, and atherosclerosis all reduce a person’s ability to engage in the high-intensity exercise necessary to maintain a healthy supply of testosterone. Using testosterone therapy for weight loss is kind of like feeding the horse a carrot or apple to get them to move – it starts the process that increases the energy and quality of life that can motivate a person to make additional healthy changes in his or her life. With testosterone working at the cellular level, and the brain and heart working together to increase energy and physical activity, you have a powerful and winning combination. Once the doctor (a hormone specialist) prescribes testosterone therapy to combat the many symptoms of Low T (not just weight gain), there are ways you can maximize the results, including weight loss. 1. 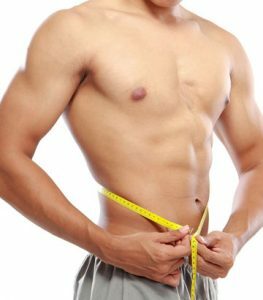 The first way to improve the benefits of testosterone therapy for weight loss is to help your body increase lean muscle mass which burns calories at a significantly higher rate than fat. Aim for working the large muscle groups with squats, bench presses, dead lifts, sprints, and pullups. You can learn more about this here. 2. The next way to maximize your weight loss with testosterone therapy is by eliminating (or drastically reducing) your sugar intake and opting for plenty of lean protein, veggies, fruit, and heart-healthy fats. Remember, your body also needs cholesterol as that is the source of testosterone. The fact is that it is difficult for a person dealing with low testosterone to make any significant changes in his or her life. The energy, motivation, and physical ability often are missing and needs the push that a boost in testosterone levels will bring. Testosterone therapy makes it possible to do all of the things that will then help increase testosterone levels naturally. For answers to any other questions about how does testosterone therapy affect weight loss, please contact the hormone specialists at HT Medical Center for a complimentary, confidential consultation.